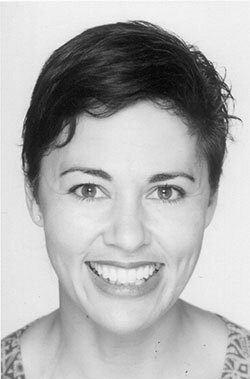 Susana Lei’ataua is an actor and a writer. Over the years she has also been a journalist, a radio newsreader, talk show host, television presenter, producer and editor. She was the communications specialist for the Royal New Zealand Ballet, and recently the project leader of the Ngai Tahu Leadership Programme for the indigenous Maori iwi (tribe) Ngai Tahu. She is the recipient of the New Zealand Fulbright Senior Scholar Award 2008. Her solo dramatic poem Through Windows was produced by the A/P/A Institute in 2003, and as part of the Pacifika film festival in 2004. Written in the winter immediately following 9/11, Through Windows is a Samoan New Zealand woman’s view of home and self from her walkup apartment in the East Village. Lei’ataua was a founding actor in the devised visual theatre work Vula that performs on a stage of water, exploring the stories of Pacific women. Lei’ataua performed extensively with Vula through New Zealand, and in Guam. Recent roles include May in My Mother Dreaming by Dianna Fuemana, and Mrs. Muller in John Patrick Shanley’s Doubt.